Clinic Synopsis: Taking a fresh look at the most commonly asked questions by players from professionals to beginners; holding the violin, the bow and basic tone production. Looking at how the answers are easily accessible in our everyday activities and can therefore be used by beginners and professionals solving problems from Hot Cross Buns to Don Juan. 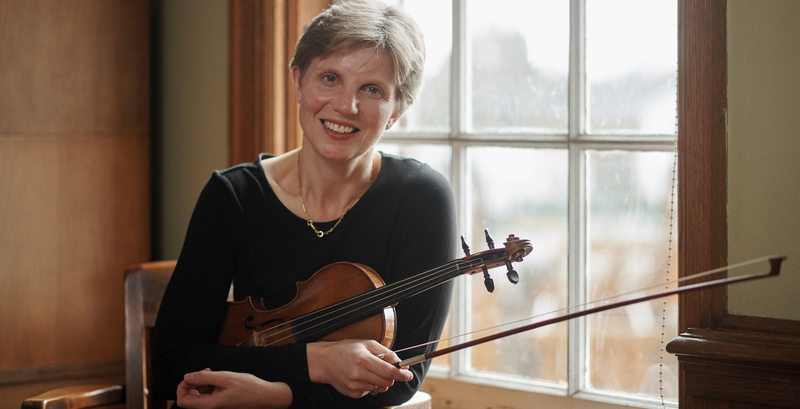 Clinician Biographical Information British violinist Sophie Till, is Associate Professor at Marywood University, PA, Director of the Marywood String Project for children ages 4-18 and Associate Faculty at the Golandsky Institute. Sophie's development of the Taubman/Golandsky Approach to Strings has become internationally known among professional players for solving playing related injuries, for providing tools for virtuosity and has led to her unique approach for beginners and younger players. In 2013, She gave the first European symposium on the approach at St John's College, Cambridge, UK. In 2014, she gave the first series of string workshops based on her teaching in Australia and Singapore. Her visit to Australia led to her return in 2015 as a keynote speaker at the National Australia String Teachers' Conference giving three days of presentations, a recital and a key-note address. Since 2015 she has visited Scotland regularly giving workshops, presentations and lessons for members of the Royal Scottish National Orchestra, Scottish Chamber Orchestra and BBC Scottish Orchestra. In 2016, she made her first visit to teach members of the Royal Liverpool Philharmonic Orchestra and teachers from Liverpool In Harmony which led to extended visits in 2017, 2018 and an invitation to become the orchestra's string specialist. She works regularly via Skype teaching professional players from all over the world and many come in person to undertake intensive periods of study with her. Sophie has a new online pedagogy series showing the fundamental principles of her approach for players of all ages, she runs a summer symposium in New York and will soon be introducing teacher training sessions. In addition to her teaching, Sophie is an active performer, giving recitals, and playing chamber music. She recently produced a recording of the complete Brahms Violin and Piano Sonatas with duo partner Ron Stabinsky.